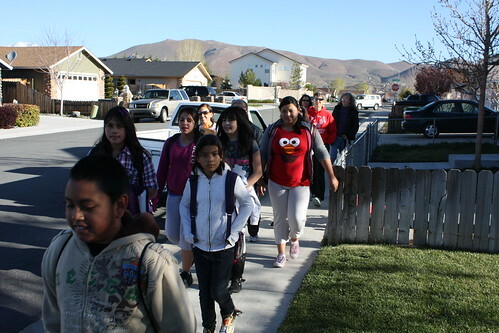 Carson City celebrated Nevada Moves Day today with “Walking School Buses” to area elementary schools. I joined one at Mark Twain School . We walked from Hot Springs Road to the school – about two miles. The kids had fun, and the teachers set a blistering pace. No grass grows under the feet of Mark Twain students and staff! Thumbs Up for Mark Twain! This Thursday evening Muscle Powered and the Carson City Health Department will doing a bicycle safety check! From 5-7pm on April 7th, we will have a booth setup at Telegraph Square at the crossroads of Telegraph and Curry Streets to help celebrate National Public Health Week. Thursday’s theme is Safety on the Move. It’s been a long winter, and those bikes have been sitting for a while. Bring your bicycles on down and let us make sure you’re ready to roll safely! Also, Muscle Powered and the Carson City Health Department will have some give-aways and info to hand out. Hope to see you there! It’s quite evident to today’s cyclist that our transportation system is designed with the automobile driver in mind. Millions have been spent on roads, highways and other infrastucture for the motorist, but very little in comparison for people that prefer or need to travel under their own power. Bicycle advocates often have to work hard just to get basic transportation infrastructure that is safe and gets people where they need to go. Because we often get so little, it’s frustrating when it’s taken away from us from a group that already has way more than its fair share. 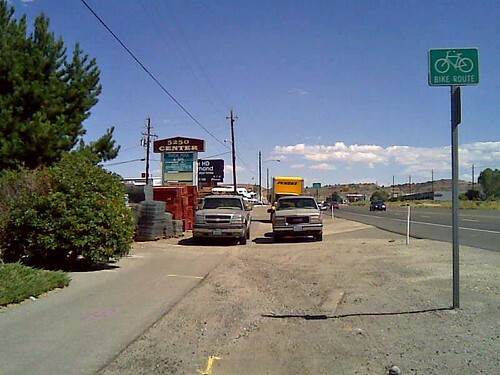 Carson City has long had bike paths along Highway 50, leaving Carson City to the east. 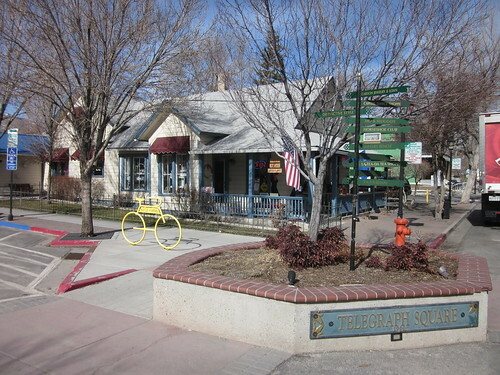 These bike paths are the primary way to travel by bike when heading east or west, to and from Carson City. They provide a safe area to ride that separates the cyclist from 50mph traffic, and connect neighborhoods, schools, parks, and shopping. In addition to the cyclists of all ages that use these paths, walkers and disabled citizens also rely on this route. 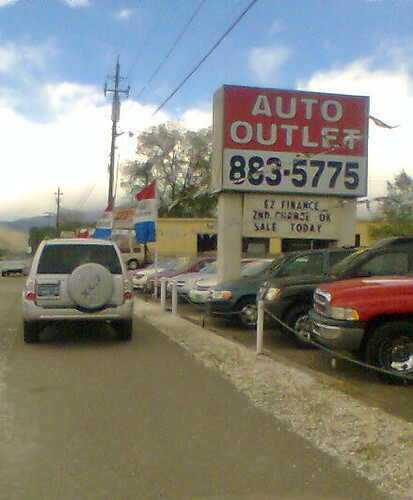 People have recently come to me with complaints of businesses and customers along Highway 50 using the bike paths as parking. 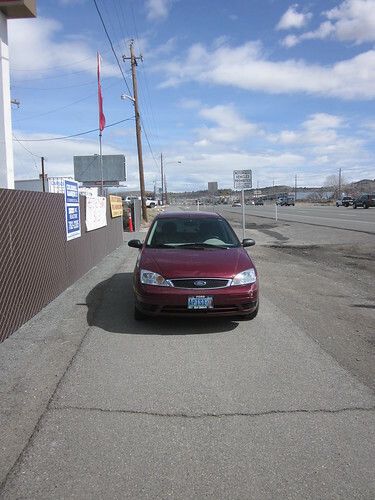 When a car is parked in the path, often for no good reason, since there is usually alternative parking, the path user is forced off into the dirt, gravel, or mud. And depending on the weather or what bike your riding, it can be no easy task to navigate this terrain. At the very least, extremely inconvenient. For the person in a wheelchair, it may be impossible to get around a car on the path. 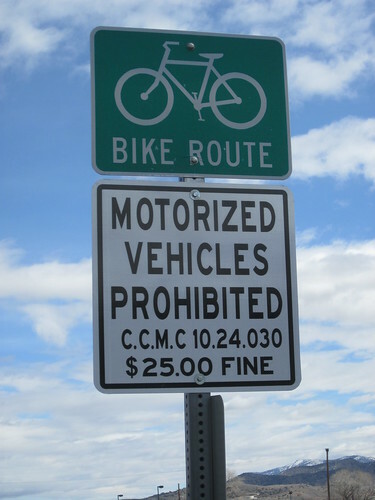 The city has been receptive to complaints from users of the bike route, and has even taken steps to provide better signage along the path, even reminding motorists that there is a fine for misuse. I rode down the paths recently to see the situation for myself, and it didn’t take long before my way was blocked by a parked car. The car was even parked under one of the new signs that the city just installed. And once again this weekend, I had to navigate around another parked car, riding through the mud to do so. I believe there is some education that needs to take place for people to better understand what they’re doing wrong. It seems to be understood that we don’t park our cars in red zones, in front of fire hydrants, or in reserved parking spaces, but for some reason it seems acceptable to block a bike path. From what I’ve heard, some businesses are even angry that they’ve been told the bike lanes aren’t for parking, and said they’d fight it if further measures were taken. It’s hard to understand this though, as there is often a dirt shoulder to park on right next to the bike path. There seems to be room to accommodate everyone. This story is still unfolding, so it’s anyone’s guess how it will progress; however, as fuel prices and unemployment continue to rise, we will certainly see an increased use of alternative transportation like biking and walking. And we mustn’t forget our friends in wheelchairs that simply have no other method of getting around than these paths. I’d like to give people the benefit of the doubt, and assume they don’t know the trouble they’re causing by obstructing the paths. A couple of the photos above are mine, and others were sent to me by Carson City residents. 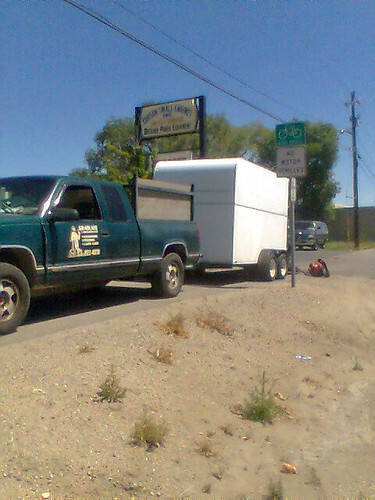 Have you had problems with cars blocking bike paths in Carson City? Let me know, and please send me photos if you have them. What do you think would be the best way to educate these motorists? Update: Due to a slowdown in paperwork, we won’t be doing the on-street BikeEd this coming week, but will be adding a third week of schoolyard bike skills development. 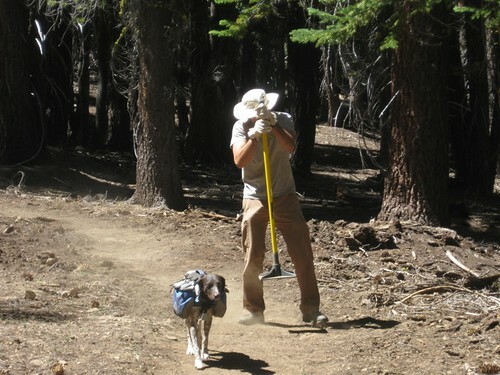 Volunteers are still welcome, and you won’t need any prior training. It is a great chance to find out more about what the district PE Specialists and the Safe Routes to School program are doing with kids, and we will need volunteers for the next two pilot schools (Fritsch and Fremont) in the spring. Mark Twain Elementary School is piloting a third week of BikeEd this fall, adding a day of on-street riding for 5th grade students. We will be riding on nearby low-traffic streets, practicing the basics of lanes positioning, scanning, signaling, and right hand turns. To do this, we need at least four adults on each ride. PE Specialist Colleen Katen and myself (Dan Allison) are two of those, so we need two more for each class session. The classes are from 9:25 to 10:10 on Monday through Friday. We are planning for this coming week, September 27-30, however, we do not have enough volunteers yet, so may delay one or two weeks, to October 4-7 or October 11-14. We’d like you to volunteer! We’ll accept as little as one day, though of course we’d like more. What do you need? A working bike, a helmet, and training. A training session of about one hour will be scheduled at a time that works for you, which could be during the school day, afternoon, or early evening. Of course we’d like to schedule one session that works for everyone, but recognize that may not be possible. In addition, we’ll give you a DVD to watch at home that has an 11-minute video (and more, if you are interested). If you have been through Traffic Skills 101 or an equivalent course, you can skip the training session and DVD. In order to volunteer, you must either be already signed up with the district as a volunteer and have completed fingerprinting and a background check, or you must have initiated that process before you volunteer. 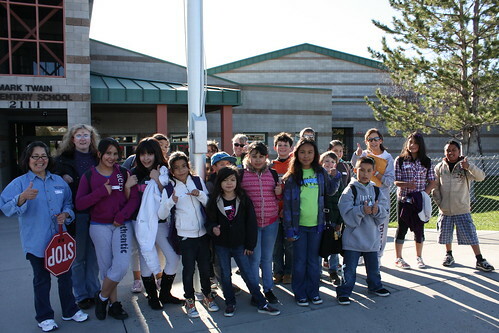 You can pick up a volunteer packet from any Carson City School District school, though since one page needs to be returned to Mark Twain, it would be easiest to pick one up from there and fill out that one page immediately. You must fill out several forms, get fingerprinted at the Sheriff’s Office (901 E Musser St) or the district office (1402 W King St), and turn your forms into the district office. There will be a fee for the fingerprint cards, which you will be reimbursed for. Interested? 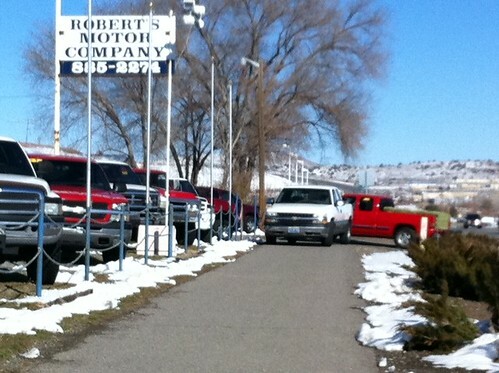 Please contact Dan Allison immediately with questions: 775-997-4937, srts.carson *at* gmail.com. Commuter Education Classes for Bike to Work Week! Just in the last week, I’ve seen several incidents of unsafe cycling around town. Most notably, I’ve had cyclists riding against traffic straight toward me on my narrow share of the road. I’ve also seen many examples of riding the sidewalks. These riders are just trying to be safe, but in reality, they are riding unpredictably and could cause serious accidents. Thankfully, a little bicycle safety education can go a long way to keeping you safe on the road. Can you spot the safety hazard in this photo? Muscle Powered‘s Dan Allison will be giving two bicycle commuter classes this week. These events do not depend upon each other, you may take one or both. Come down and learn some cycling skills for next week’s Bike to Work Week (May 17th- 21st)! There is no charge, both classes are FREE. Learn and practice skills for safe and enjoyable bike commuting. Bike and helmet required – you will be riding your bike and must sign a League of American Bicyclists educational course waiver. This class works for beginners and is a good refresher for experienced bicyclists. Limited to 10 people – sign up by emailing LCI instructor Dan Allison at allisondan52@gmail.com. Learn about and discuss tips for making your bike commute safer and more enjoyable. Bikes not required.